Barrie has experienced glorious highs and real lows during his time at Mariners Park. Capable of playing at right-back or in the centre of midfield, the 2015-16 season looks set to be his defining campaign. For the second year running, he swept up in the club’s end-of-season awards, being voted the Supporters’, Players’ and Club’s Player of the Year. 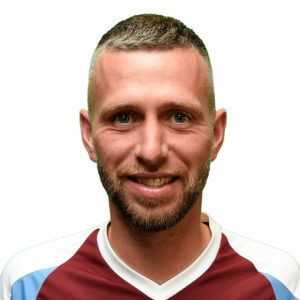 His wholehearted and all-action displays, featuring marauding runs down the right flank and repeated shows of passion, won him a place in the hearts of all at Mariners Park. He had been through so much before, that, though, including a relegation season and the club’s enforced move from Mariners Park to Peterlee. Despite struggling at times with a groin problem, Barrie stuck with the club during its two-year spell in Peterlee – captaining the team for one period – and was rewarded for that loyalty when Shields came home in the summer of 2015. He was one of the key figures in the 2015-16 Northern League Division Two title win, and continues to be as popular as ever at Mariners Park. 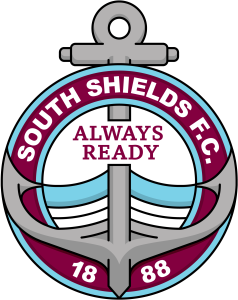 South Shields vs Darlington R.A.